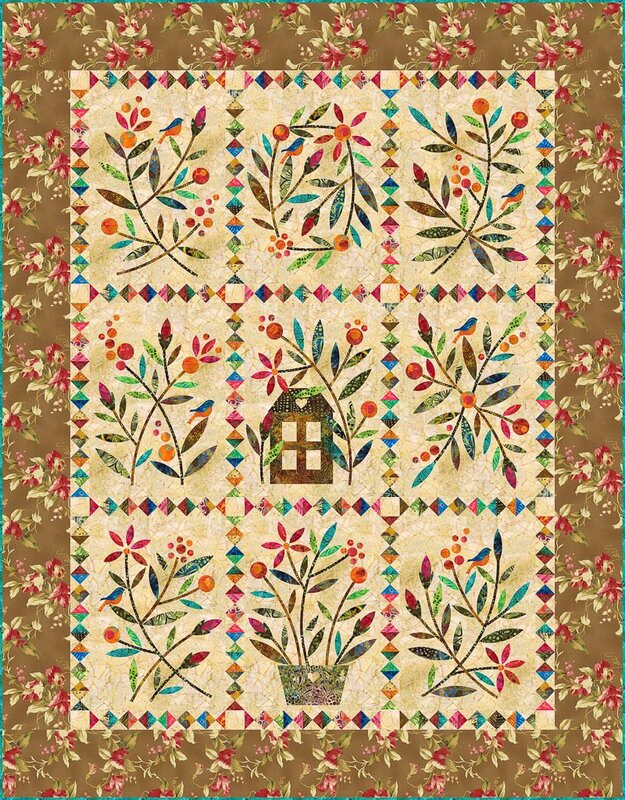 A wonderful pattern for applique lovers! The pattern includes three different applique techniques: hand, machine, and fusible. Nine applique blocks, each measuring 12" x 16", are complemented by delicate triangle sashings and are framed with either a traditional or applique border. Pattern include full-sized layouts for all applique. Finished Size: 64-1/2" x 82-1/2"